Join USA Today bestselling author LS Hawker for a reading, signing, and Q&A session. 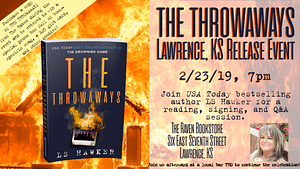 Buy a copy of THE THROWAWAYS during the event and you'll be entered for the chance to win a special promo box full of book-specific swag, a $25 gift card, and other goodies! 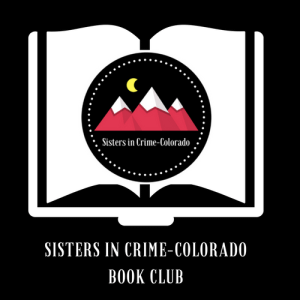 The Parker Sisters in Crime Book Club is reading THE THROWAWAYS this month. Come join us for lively discussion and beverages! Join me at the Bookbar on April 13 to get your copy of The Throwaways signed, and best of all, half-off drinks! 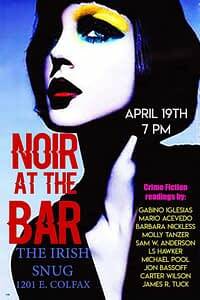 Join me and Barbara Nickless, as well as Mario Acevedo, Sam Anderson, Jon Bassoff, Gabino Iglesias, Molly Tanzer, Michael Pool, James R. Tuck, and Carter Wilson for an evening of noir and whiskey (or your beverage of choice). 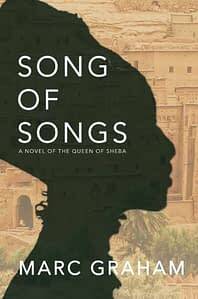 We'll celebrate the release of Marc Graham's second historical novel.